Col. Barry Wilson said suspect DNA was discovered during the investigation and a unique suspect profile was identified. The technology was used to link DNA from the crime scene at the University of Alaska Fairbanks to 44-year-old Steven Downs, a registered nurse living in Auburn. Credit Androscoggin County Sheriff's Dept. Speaking at a news conference in Alaska Friday, Department of Public Safety Commissioner Amanda Price said the murder of 20-year-old Sophie Sergie on the UAF campus back in 1993 was felt statewide. Sergie's body was found by a custodian in the bathroom of an eight-story dormitory. She'd been sexually assaulted, stabbed and shot in the back of the head. Price said the arrest of Steven Downs, who lived in the dorm at the time, is the culmination of years of effort by dozens of police. "The many investigators who have continued to work this case never let the loss of Sophie leave their minds,” said Price. I am tremendously proud of the dedication and commitment that this team has shown." Flanked by members of Sergie's family, Col. Barry Wilson said DNA evidence was discovered during the investigation and a unique suspect profile was identified. The information was uploaded into CODIS, a national combined DNA index system run by the FBI. But the profile obtained in the Sergie case was not on file, and the suspect remained a mystery, even as police interviewed hundreds of people and collected DNA samples from some of them. "As the months passed, troopers continued to diligently investigate the case, but months turned into years and active leads became sparse," Wilson said. In 2002, Alaska State Troopers established a cold case unit. Investigators began pouring through reports and looking for new angles to try to solve Sophie Sergie's murder. Then, in April of 2018, the cold case unit learned of a new DNA technology that had been used to identify the so-called "Golden State Killer," the man believed responsible for more than a dozen murders, 50 rapes and burglaries in California. Investigators contacted a Virginia lab that uses DNA testing in combination with traditional genealogical screenings to identify relationships between individuals. "For forensics investigations such as the case involving Sophie's killer, the process can be used to point to the likely identity of a perpetrator," said Wilson. Wilson said that in this case, the results of the testing revealed the likely suspect to be Steven H. Downs of Auburn. Armed with the new information, Alaska investigators reached out to Maine State Police to come up with a plan to contact and interview Downs and to collect his DNA and other evidence from his home. On Friday, Downs was arrested without incident. 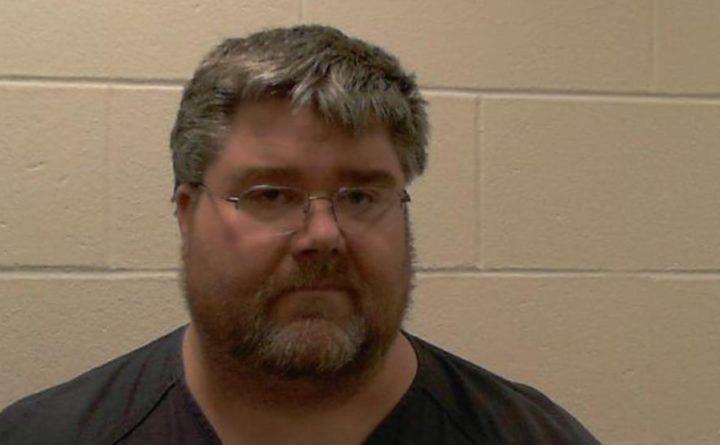 He's currently being held without bail in the Androscoggin County Jail and is expected to have a court appearance Tuesday before being extradited to Alaska to be tried for Sergie's sexual assault and murder. Originally published Feb. 16, 2019 at 2:27 p.m. ET.